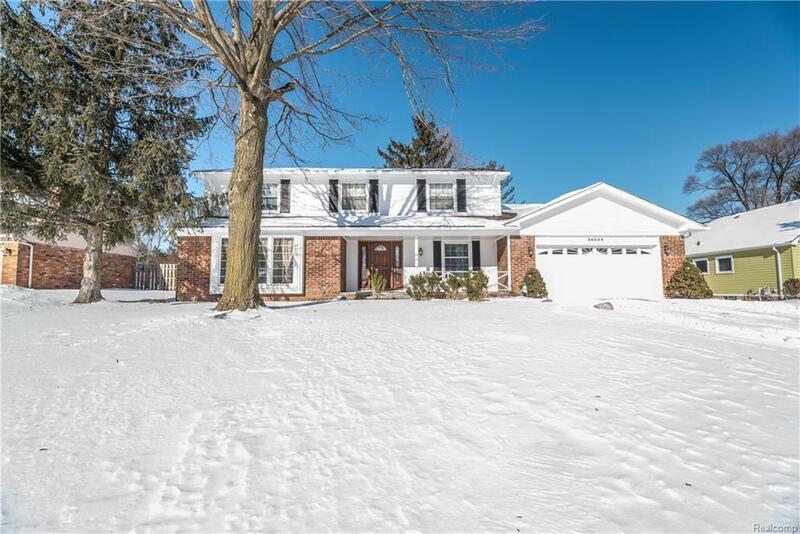 This incredible family home is in a great neighborhood and offers fantastic curb appeal with a welcoming floorplan and freshly painted throughout. This home provides a lot of space for family time and entertaining. Theres a large formal living room with original hardwood floors, a formal dining room, a spacious kitchen thats open to the breakfast nook and family room with a gorgeous brick fireplace and doorwall to the backyard patio. Theres also a convenient main floor laundry room and half bath. Upstairs, theres 4 bedrooms and 2 full baths including a master suite. The basement has been finished and provides ample storage space. The yard has an abundance of trees offering privacy, a 2-car attached garage, patio and lovely front porch. Call today, this is a great opportunity.